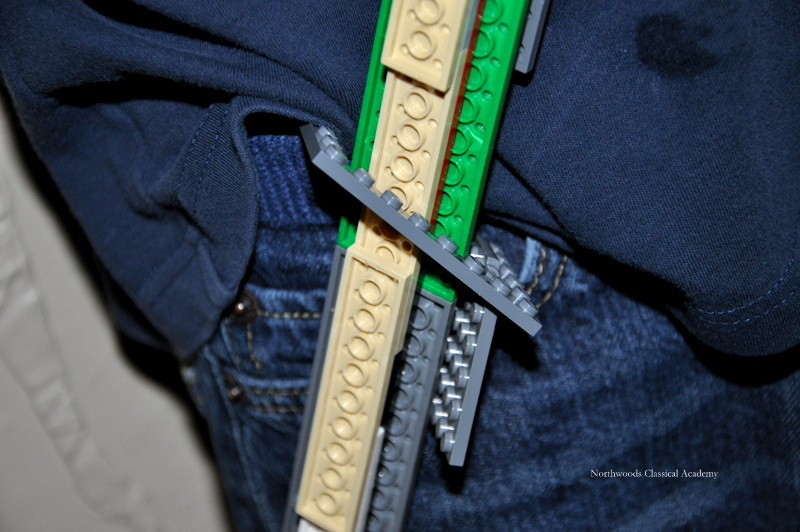 The Architect, 8, came up with this nifty idea for a place to carry his Lego Sword: with a Lego piece attached by his belt. 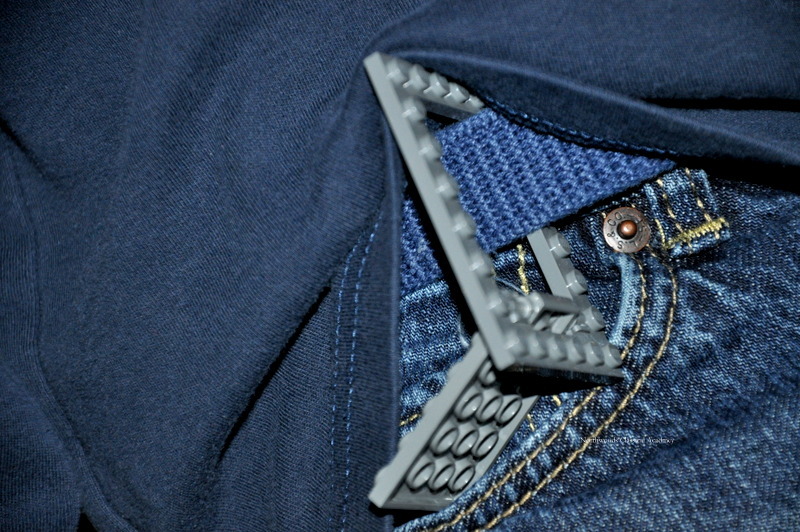 This is quite the useful piece. Coming next week: an in-depth review of our first quarter of school. 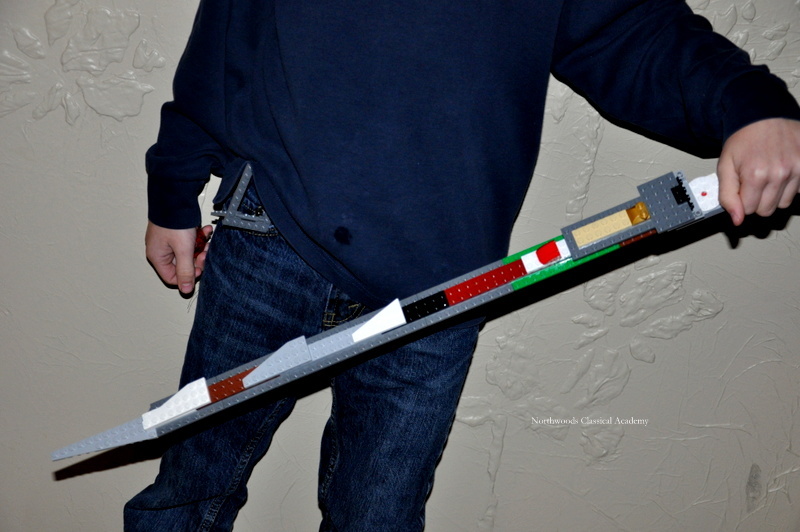 The latest original creations from the Lego enthusiasts around here: Lego swords. Designed by the Investigator and the Artist. 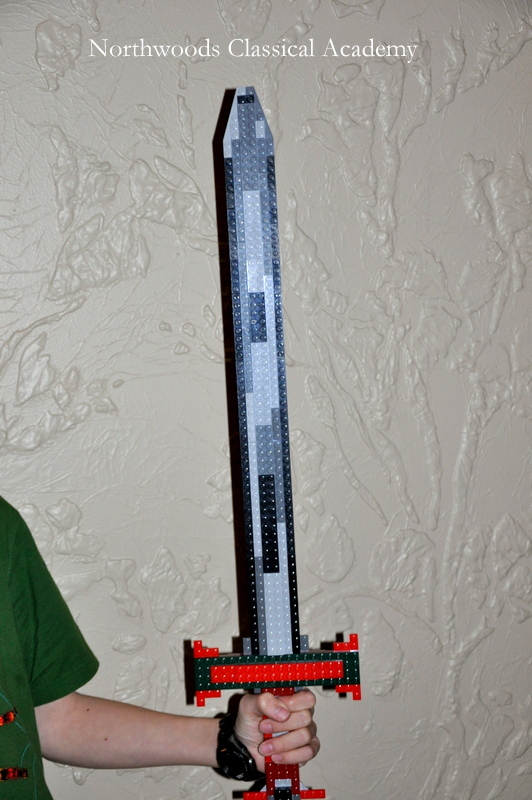 The Explorer, of course, also designed his own sword. He named it Orcrist the Clown Cleaver. Week 7 – Have you ever noticed all the learning that goes on when the books are put away and the lessons are done for the day? Often it’s the time we have to ourselves – when we can construct what we choose – that we learn a great amount. 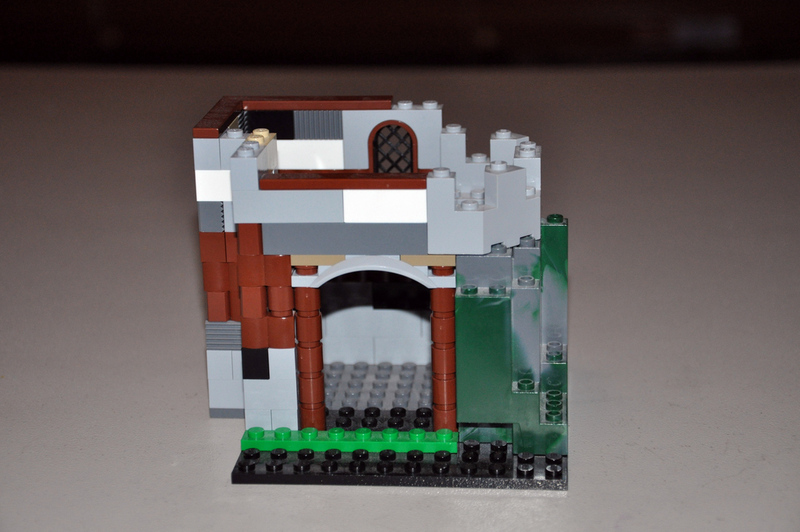 The Architect, 7, came running up to me this week – so excited to show me what he had built on his break! 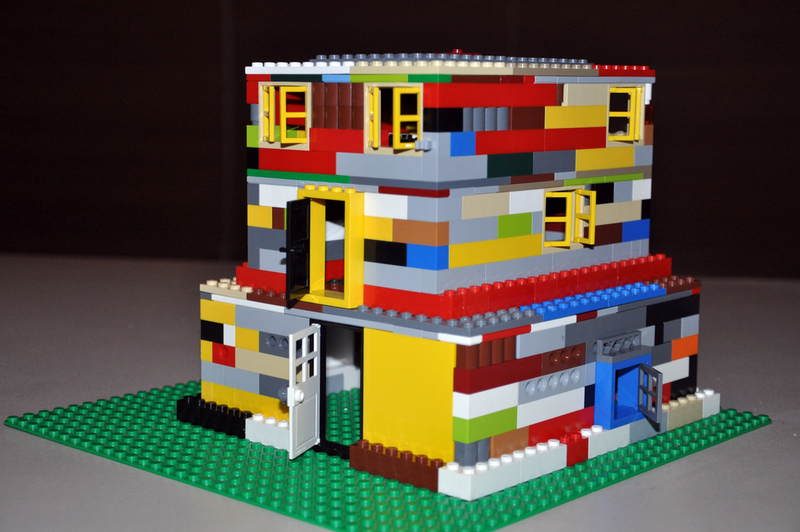 He’d designed an igloo made of white Legos from his buckets and buckets of pieces. Alongside this igloo stood a little man wearing a blue hat to stay warm. Later he showed me a house and floor plan he’d imagined which included a unique roof, a ladder, a bed, a black-hatted man, and an ‘X’-shaped window. Beside this was a car he made with the same little blue hat man from before sitting behind the wheel. Think of all the ideas he used building these! 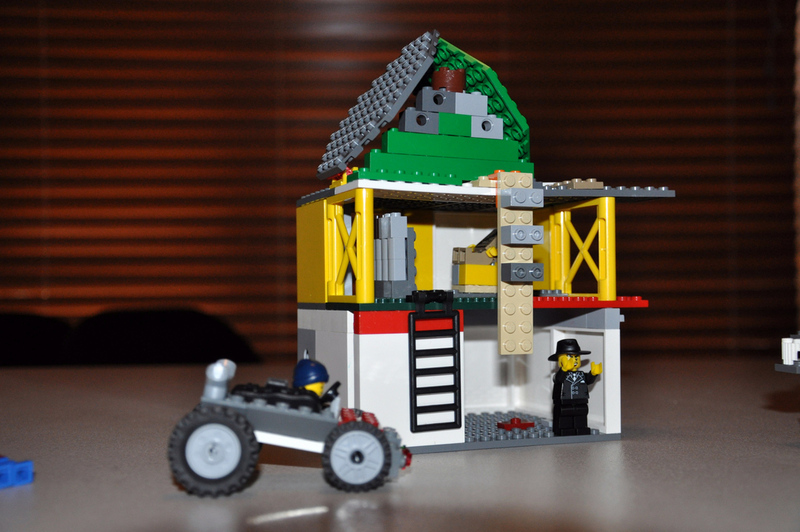 A house and car built by the Architect. The Explorer, 4, loves when his big brothers are done with their work, since he then has instant play pals and learns so much from being around them. He showed me some little men and a ‘flying bird fang ship’ he’d created. 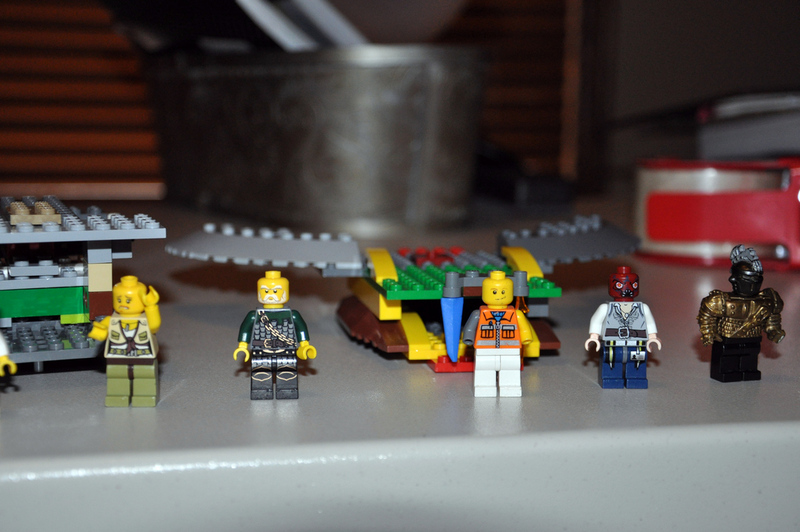 Notice the mixed and matched heads and bodies on these men and women Lego people. So much fun! Winged bird ship behind the little men constructed by the Explorer. The Investigator, 10, observes many things – little details that I often miss in my busy life. He designed this three story house with removable levels that include internal structures such as stairs, a bed, and even a burning torch lamp for nighttime reading. 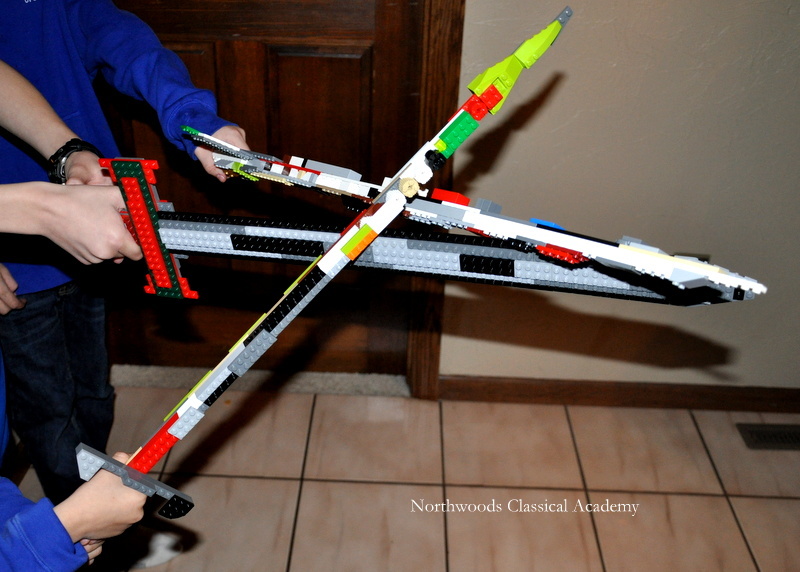 Imagine all the concepts he learned by constructing this! 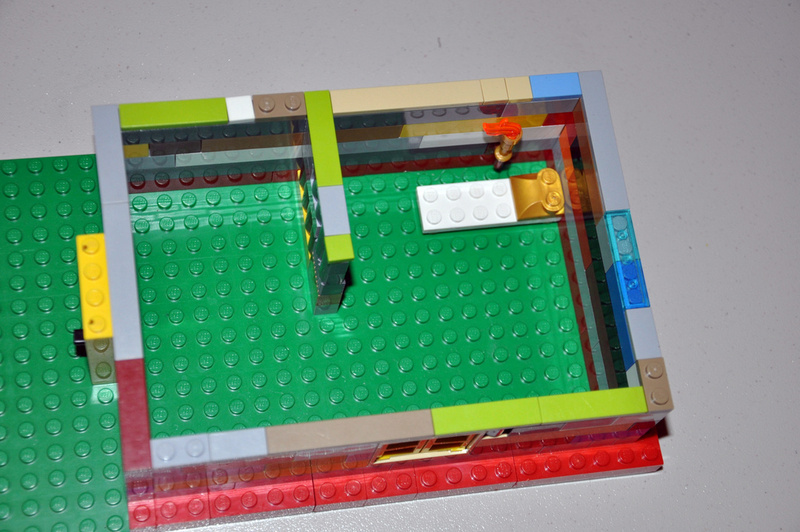 A 3-story house made by The Investigator. 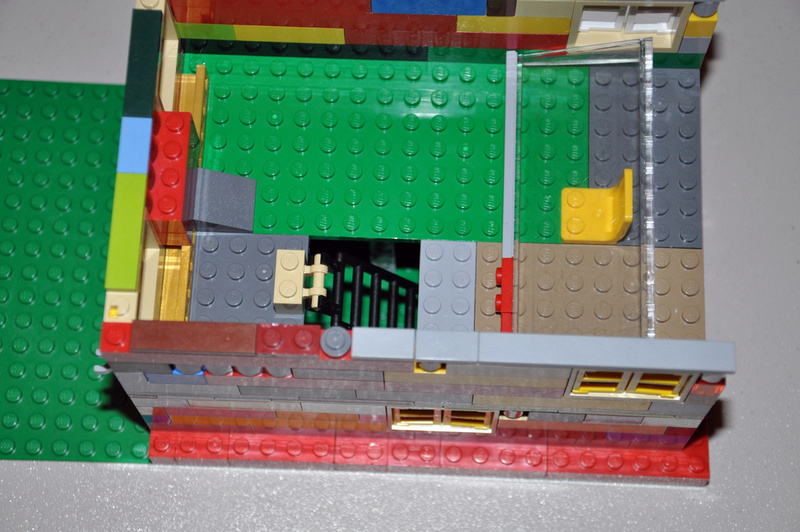 An above view of a layer from the 3-story house showing stairs, a TV, and a yellow chair. With the roof removed – another level of the 3-story house showing a bed with a burning lantern beside it and a dividing wall. 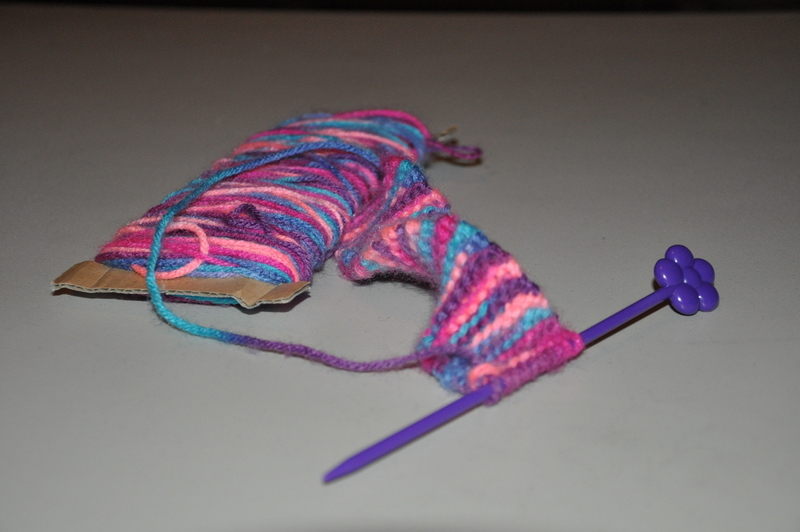 The Artist’s knit scarf in progress. This week I chose to spotlight instead another important subset of our day. Although we did do our usual school work as scheduled, it was the time the books were closed when other interesting structures were built. Free time spent working on constructive activities can teach us so much, and we are more likely to internalize and remember the knowledge we gain – to build within – because we are choosing to do something we want to do. Children notice details and are constantly gaining understanding – often when the books are closed. Perhaps this is what Albert Einstein meant when he was said, “Imagination is more important than knowledge…”.